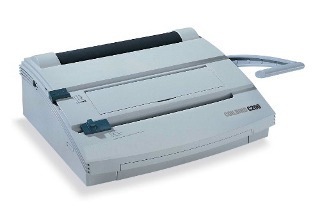 A robust manual A4 punch and electric coil feeder that is ideal for the general office to speed up productivity. 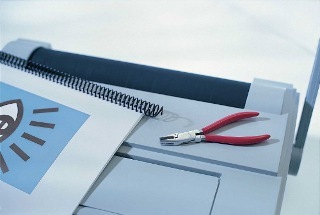 - Binds up to 145 sheets (80gsm) - Using an 18mm plastic coil. Flexible, quick to bind and lightweight, a colourful RBS CoilBind spine will add impact and energy to any report or presentation whilst ensuring that your pages stay pristine and secure. 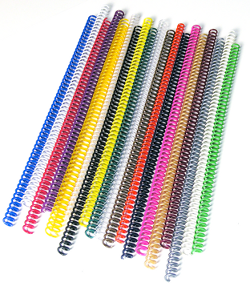 Made of top quality, highly flexible fine plastic, CoilBind spines can withstand the rigors of everyday office use including bending and frequent handling and will not fade or break over time. This spine holds its shape well and can be compressed down for posting, always bouncing back to its original shape. 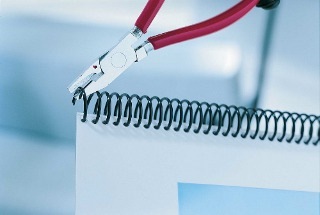 And the bound pages lie flat with 360 degree rotation for easy reading and convenient note taking and photocopying.